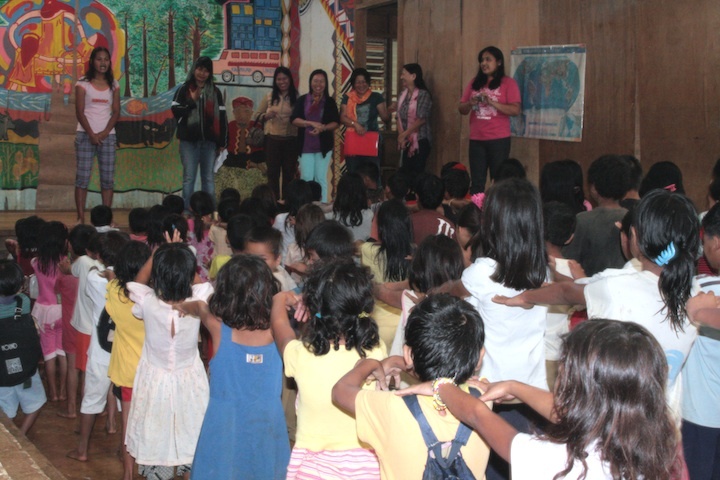 Last February 2012, nine regional officers from the Department of Education (DepED), and partners from the Archdiocesan Center for Concern and Social Services of the Archdiocese of Cagayan de Oro and the VOICE Network, visited and engaged with teachers and staff of the Apu Palamguwan Cultural Educational Center (APC). The visit was in line with DepED’s Philippine’s Response to Indigenous Peoples and Muslim Education (PRIME) program that was formulated to address the learning needs of indigenous and Muslim children. The visit was an opportune time to observe how classes are made cultural and taught using the mother tongue and how teacher work in the continuous development of the curriculum. The early beginnings of APC, including difficulties encountered in implementing culture-based education, were shared as part of the dynamics the PRIME program must understand in addressing education issues of Indigenous Peoples. The visit was also an occasion to see an example of a local education reality in the country, especially in the uplands of Upper Pulangi. Given the isolation and distance of many upland villages, education is inaccessible to many children. Public schools are located far from many villages, requiring long hours or days of walking before children can reach the nearest school. APC is responding to this reality by providing a school dormitory for about 25 children. As the school is situated in the Pantadon mountain range near the boundary of Agusan del Sur, many of the children in the dormitory are from indigenous tribes in Agusan del Sur, part of the CARAGA region. The regional officers from CARAGA admitted that they do not presently have the means to address the access-to-education problems of isolated communities in their region. PRIME was launched in July 2011 with the support of AUSAID and the program was established to develop learning materials, train teachers, and develop appropriate curricula that are culturally sensitive and relevant to indigenous and Muslim children. The visit and engagement with APC is helpful in listening to the education concerns of an indigenous community, understanding their situation, and moving towards an appropriate response in other parts of the country.